Peter Thomas began the session by describing how the history of hand papermaking in the United States can be divided into to two eras: before 1907, when apprentices were making paper under a master; and after 1907, when individual artists were making paper for their own use. It was in this second era that individuals, such as John Mason and Dard Hunter, began experimenting and then disseminating information, which then led to the revival of interest in handpapermaking and a proliferation of workshops. 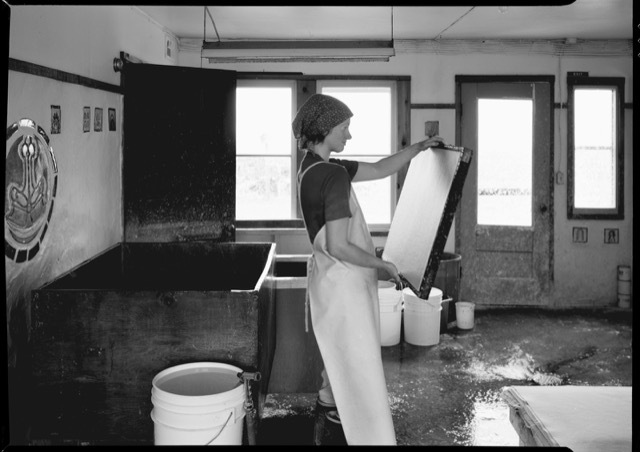 The students of these classes then dispersed across the country to start their own businesses and teach others the art of papermaking. The revival really was hand-to-hand, passed down through a community of artists. The Hand Papermakers’ Archive & Database project, conceived by Tim Barrett, Nicole Donnelly, Michael Durgin, Susan Gosin, Amy Richard, and Peter Thomas. Website and database developed by David Eichmann. Nicole Donnelly’s presentation on the Hand Papermaker’s Database talked about the process of getting information from hand papermakers through the use of a survey. All of the information was self-reported with over seventy people responding. The process to take this large amount of disparate information and form it into a meaningful and interactive resource took several years, but the website is now live. This list nowhere near encompasses all of the names of the people involved in papermaking over the last few decades, so the administrators are encouraging people to add their name to the list (and the names of individuals who are unable to add their own) to help grow the family tree. 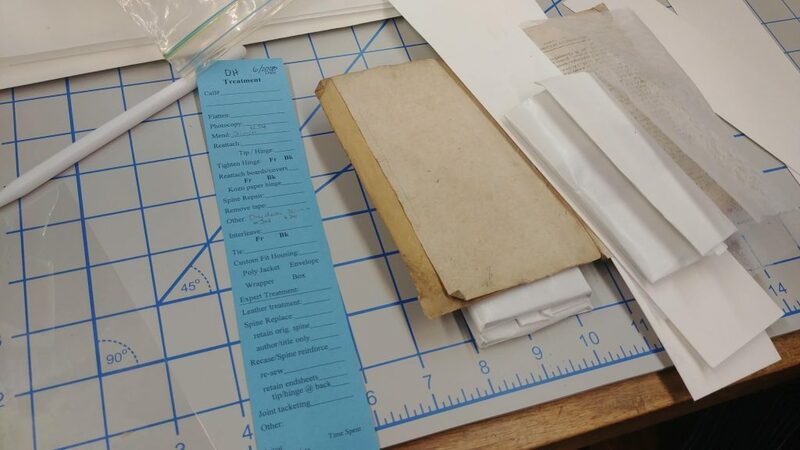 Virginia Howell discussed the process and difficulties of organizing and cataloging the Dard Hunter Rare Book Room at the Robert C. Williams Museum of Papermaking in an effort to increase access to the collections. Howell dealt not only with questions of the physical condition and preservation needs of the collection, but also with the more philosophical idea: What is it? Is it a book, artifact, sample book, or something else? Working with such a unique collection has meant that the whole process has taken longer and definitions have changed throughout the project, but to date more than 250 of the 7,000 volumes have been completed. Rachel Schend is a graduate certificate student at the University of Iowa Center for the Book.